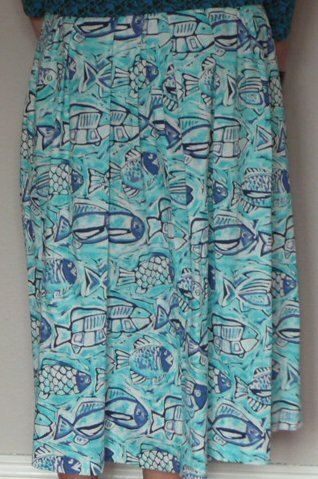 70s-style blue fish print by Clever Shepherd. 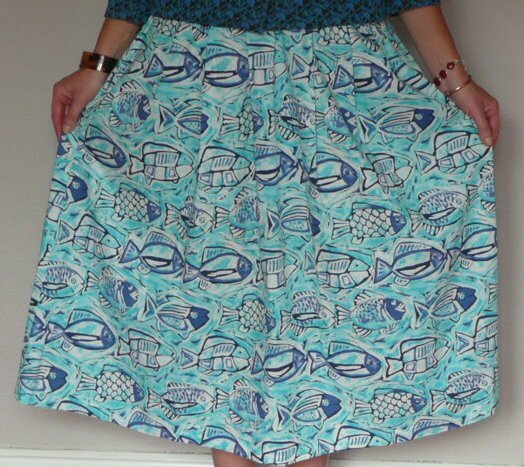 This lovely skirt is made from a crisp cotton, printed with variety of funky fish. It is mid-calf length, and falls full from the wide waist band (sitting on the actual waist). 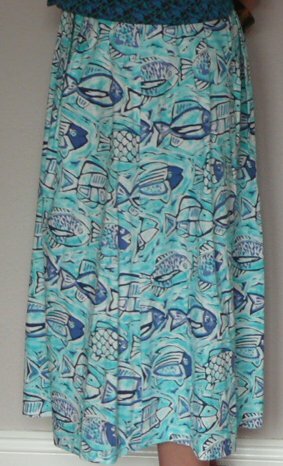 Showing no signs of wear, and as far as I can see, in absolutely perfect condition, this is a skirt which will make you stand out without making you feel dressed up - and perfect 70s style! 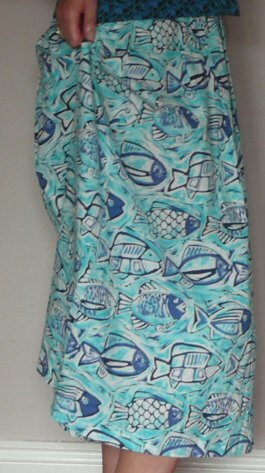 Marked as a size 14, it measures approximately 30 inches at the waist, 33 ½ inches in length.